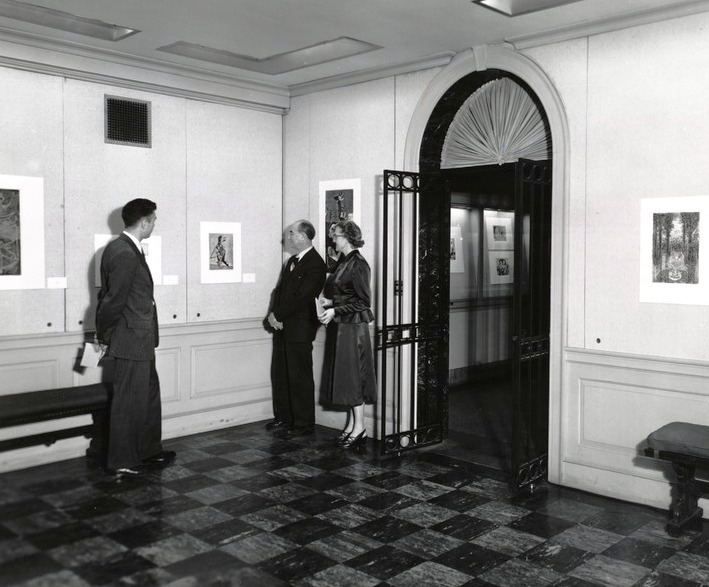 In 1947 the Daily Princetonian announced “Undergraduates are invited to view an exhibition of etchings and dry points at the Princeton Print Club at 36 University Place. The show, beginning tomorrow and extending through February 28, will be open from 2-5. 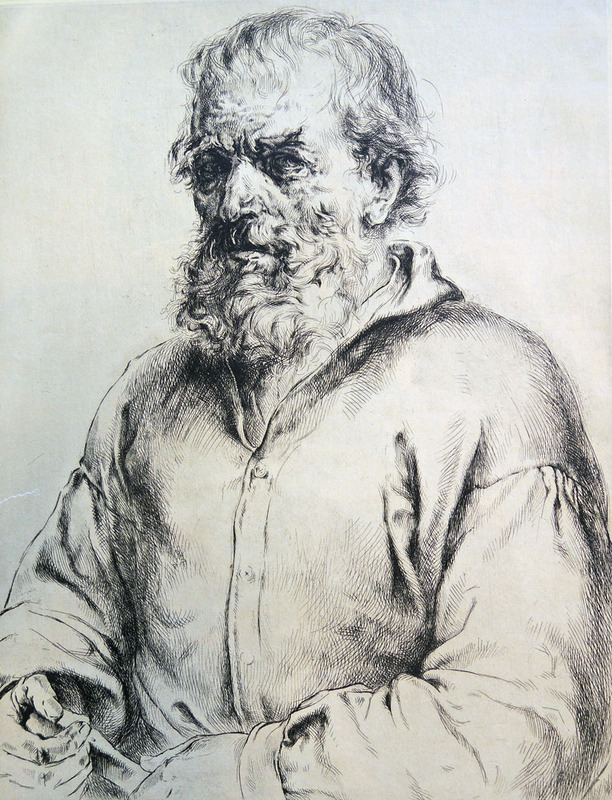 To highlight the display, Arthur William Heintzelman, renowned for his work with brush, crayon and needle, will speak February 27 at 8 p.m. at the Print Club on the “Art of Etching.” Mr. Heintzelman, a member of numerous museum associations, has earned many awards for his fine artistic work.” Heintzelman also provided curator Elmer Adler with a number of his own prints for the Print Club’s lending library. Born in Newark, Heintzelman entered the Rhode Island School of Design at the age of fourteen. 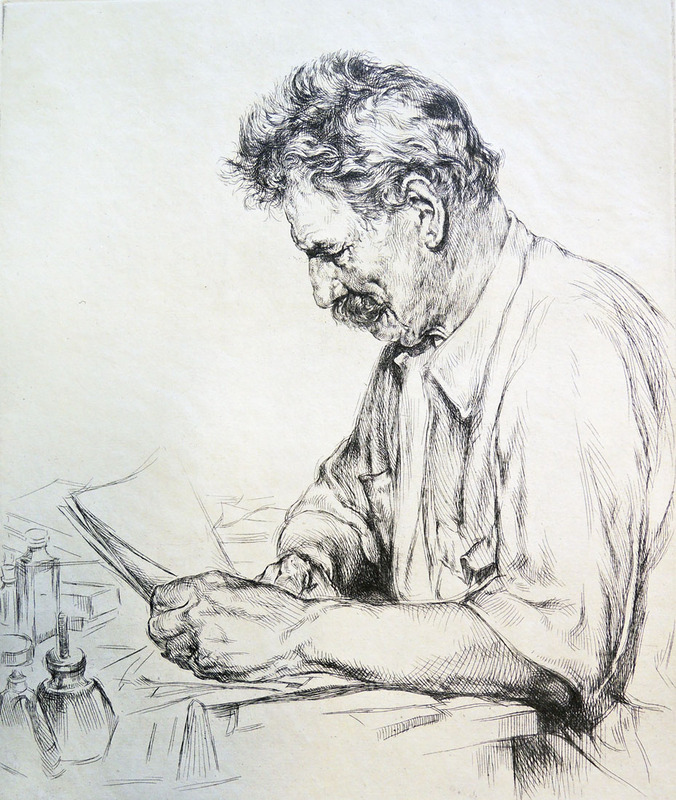 After a successful career as a printmaker in his own right, Heintzelman helped to establish a print department at the Boston Public Library, where he became the first Keeper of the Prints of the Albert H. Wiggin Collection and of the Print Department in 1941. For nearly forty years, he hung popular exhibitions in the Wiggin Gallery [seen below] and added important impressions by Picasso, Dürer, Daumier, and many others. Arthur William Heintzelman (1891-1965), Mendient Italien, 1927. Etching and drypoint. Graphic Arts Collection GA 2007.01428. Gift of Russell T. Mount, Class of 1902. This entry was posted in prints and drawings on August 9, 2015 by Julie Mellby.